Inspiring Your Giving 2019 presents more than $1 Million of priority projects responding to the needs of vulnerable women and diverse communities across Greater Sydney. Be Kind & support Sydney’s innovative local changemakers. 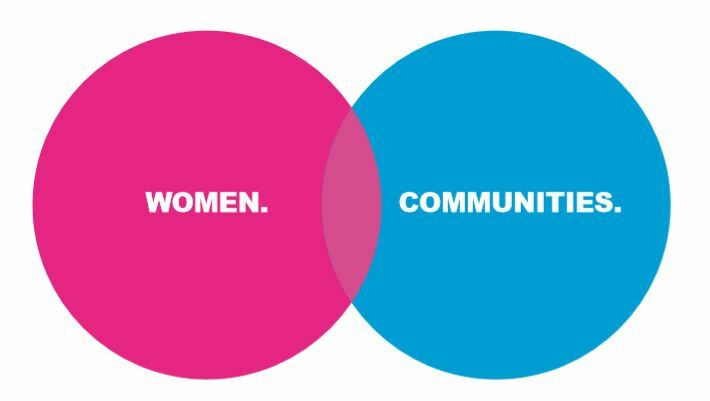 Since 2008, Sydney Sydney Women’s Fund has been funding programs to support women and girls in Greater Sydney. The design and selection of projects here is a response to the findings of Sydney Women’s Fund’s Portrait III: Hopes, Fears and Dreams of Sydney Women (2018). SHELT(HER). Our Portrait research tells us that as the pace of economic and social change accelerates, the number of women needing care and support is growing exponentially. For the homeless, victims of domestic violence and their families, this funding response will rebuild women’s lives. MARRICKVILLE. Tackling the growing crisis in waste, homelessness and domestic violence in Sydney. From house to home will scale a successful project to reach 360 vulnerable women with practical support and new skills. Working with women re-establishing their lives after trauma or homelessness, this project supplies furniture and whitegoods to make their house a home. Plus, it will empower vulnerable women through DIY workshops. Training them with skills and confidence to make basic repairs. Becoming positive role models to their children and encourage girls to do the same. Working with referral agencies, this project is a triple win offering a sustainable solution for women in crisis. INNER CITY / BURWOOD. Access to Empowerment works to improve the financial independence and emotional wellbeing of women experiencing homelessness and/or who are victims of domestic violence. Run by WAGEC - Women's and Girls' Emergency Centre, this program provides wrap around holistic, emotional and practical support to 50 women and guides them to employment and stability. These women often suffer discrimination during recruitment due to age, nationality or background, triggering acute levels of stress, decreasing executive functioning, confidence and wellbeing. The support provided prevents women accepting inadequate work out of economic desperation and builds safety and independence. This program is offered in Burwood and Sydney's inner city suburbs of Pyrmont, Potts Point and Redfern. SUTHERLAND SHIRE. 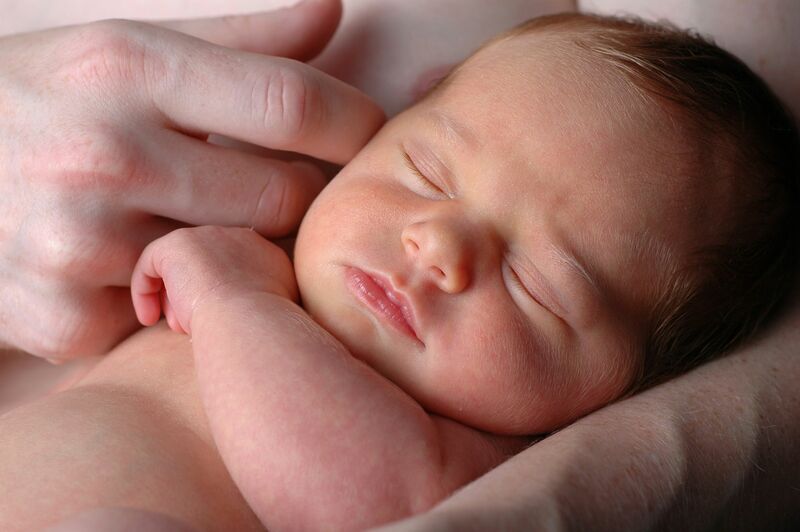 An early intervention, home-visiting program by Orana to support struggling mothers with young children in the Sutherland Shire. Diffusing potential issues before they escalate, they support women escaping DV, mothers with postnatal depression/anxiety, twins/triplets, single parents, wives with partners in the army, socially isolated and any other parent going through a difficult time. Offering weekly home visits by trained volunteers with the option for in-home counselling/psychology, or access to groups and workshops. Working with volunteers and professionals, children see positive relationships while they play in safe environments, allowing them to grow into their full potential. Early intervention is a key strategy in developing strong, independent people. REDFERN. A Cana Communities safe house for homeless women in Redfern. Since opening 6 years ago, it has been home to 79 women. As the pace of economic and social change accelerates, and government safety-net declines, the number of women needing care and support is growing exponentially. Along with shelter, food, clothing and counselling; this program also weaves care and support tailored to each women’s needs. Each women is partnered with a companion as she makes her way to the next stage of life. Even after she leaves Nagle House, an Outreach service maintains a relationship to ensure her ongoing wellbeing. FUNDING TARGET - $11,000 BRIC recognises the impossible choices of family violence and works to repair the fractured relationships between safe caregivers and their children. The skilled staff of Sutherland Shire Family Services understand the children are hurt kids, not bad kids. Unique in its approach, this work is critical as chronic maltreatment from childhood to adolescents is much more likely to result in crime and contact with the juvenile justice system. BRIC is undergoing a three-year external evaluation by the University of NSW to examine its efficacy; how it halts the intergenerational transfer of abuse and neglect as the safe caregiver modifies their parenting to provide a secure attachment with their child. WOOLLOOMOOLOO Women’s Housing Company has recently opened a complex in the heart of Woolloomooloo. Its Older Women’s Hub has brought together a community of older women living in social housing locally, and across the wider Women’s Housing Company tenant population. Rather than burden busy family or rely on accessing complicated services, the women often prefer to support one another. Tenants have been pivotal in leading, participating and co-designing activities. New funding would allow the Hub to expand activities at Woolloomooloo to include more digital and financial literacy. It would also help set up a sister Hub in Chester Hill. EASTERN SUBURBS. Domestic Violence is a national crisis. In Australia, violence perpetrated by an intimate partner is the cause of more illness, disability and death than any other factor for women aged 25-44. 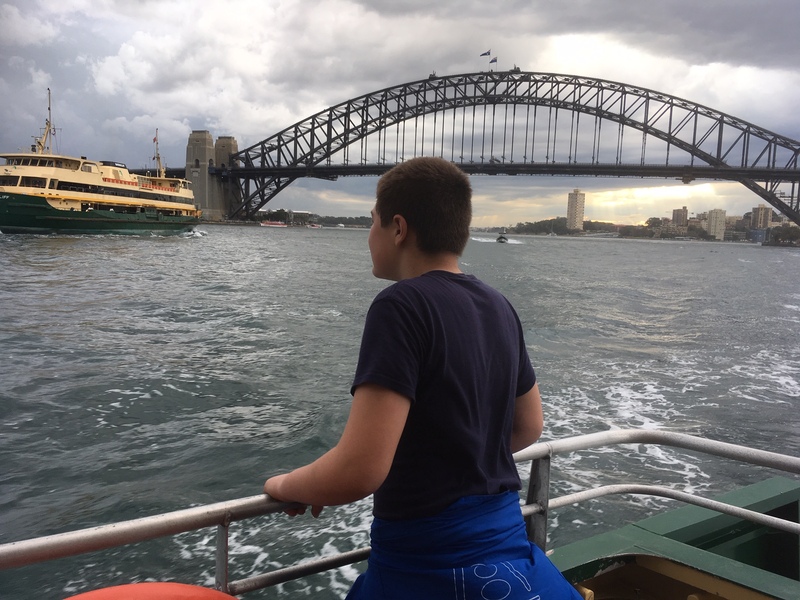 For children in Sydney's Eastern Suburbs, the damage is profound. Hope and Heal provides weekend residential retreats for women who are escaping or have left violent relationships. Creating a safe, nurturing environment allows self-care and healing for survivors. Hope and Heal brings together leading experts in wellbeing, finance, trauma, fitness, nutrition, healing, relationships and communication to empower and educate. Friendships are made and participants connected to further support services - increasing their ongoing safety and independence. ENDING DISCRIMINATION. Programs that help women of all ages who are underemployed and unemployed to find work and be paid fair wages. Encouragement of financial independence as women develop skills and talents to benefit the Sydney economy. GREATER SYDNEY. Sydney Women’s Fund: Portrait III Research recently found an alarming 44% of women had experienced discrimination in the last 12 months. Almost a third reporting their mental health (32%) and career (31%) suffering, with income (20%), personal relationships (17%) and physical health (11%) also affected. 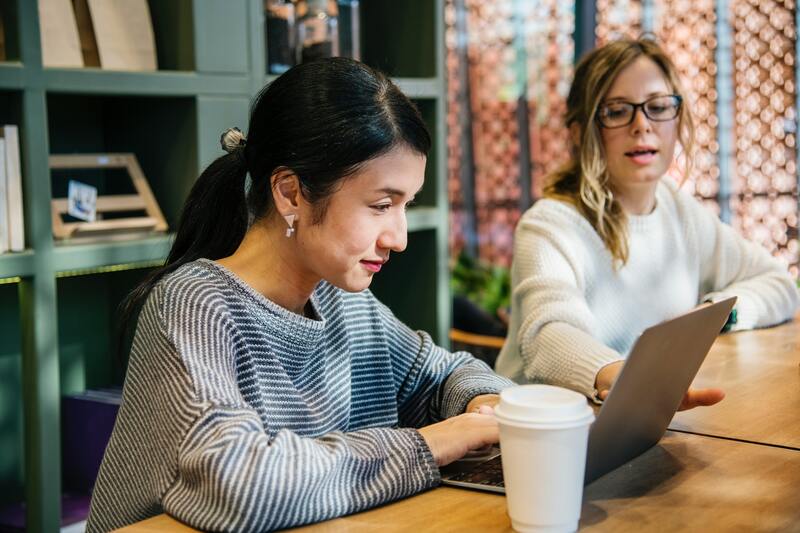 A new program in response to these findings: Sydney Women’s Fund is launching a new partnership with CareerTrackers, piloting the ‘Indigenous Women's Career Mentoring Program'. For many Alumni of CareerTrackers – they are the first in their family to graduate from university and work in the private sector. 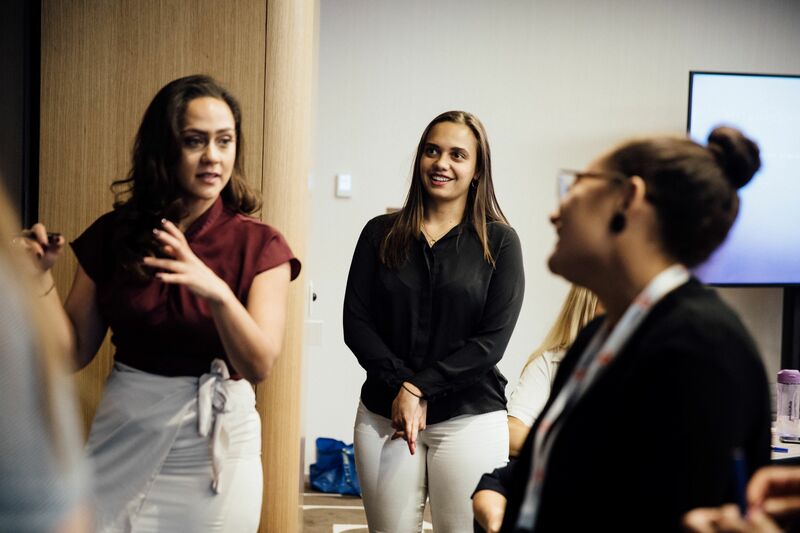 The mentoring program will accelerate the careers of 20 Indigenous women, connecting them with a supportive, dedicated mentor and a network of industry leaders and professionals. 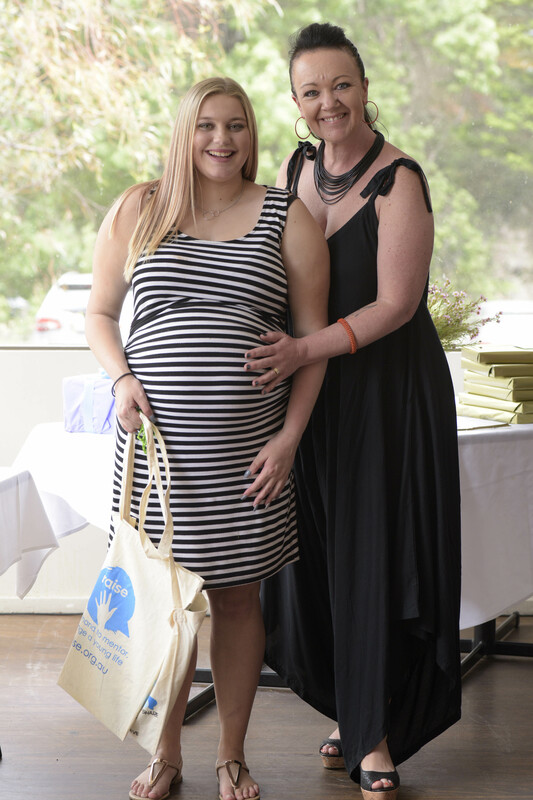 PARRAMATTA & DEE WHY BUMP is a powerful mentoring program for at-risk young mums run by Raise Foundation, empowering them socially and emotionally to re-engage in life, education and employment. Working with vulnerable young pregnant and parenting girls from the Parramatta & Dee Why areas, BUMP offers weekly mentoring by a local volunteer mum. Each participant chooses to develop a plan to return to education, or employment. BUMP has already reached over 500 girls and recently found half of the participants (52%) have direct experience with domestic violence. With the support of a dedicated counsellor, the group program facilitates each young mum to advance their resilience and confidence in parenting abilities. FAIRFIELD. Now in its fifth successful year, the sewing circle will reach 40 women through both a beginners and advanced program. 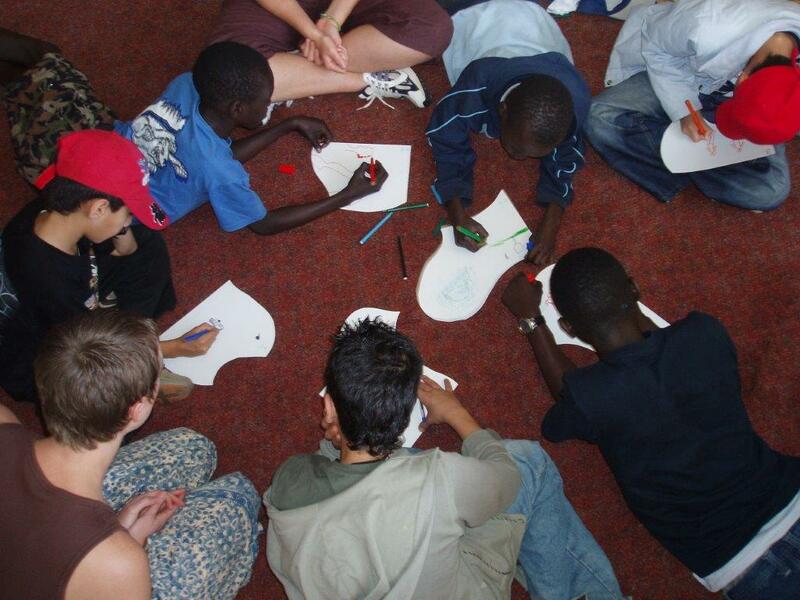 Participants develop friendships, a sense of belonging, whilst gaining skills and training. Sessions are structured and delivered by TAFE at Parents' Cafe Fairfield Inc. Skilled teachers provide technical training and encourage the women on employment pathways and into personal enterprise. Ginger & Smart are mentors to advanced design students. The impact of trauma experienced by refugee women as a result of war and conflict, means many struggle to relate to their surroundings during their settlement journey. It is critical women are actively engaged in a supportive environment that empowers, builds capacity and enhances self-care. WENTWORTHVILLE. Last year, local research found that a startling number of women in the South Asian community of Wentworthville were suffering. Many were struggling with family violence with nowhere to turn. They asked for a safe space. Encouragingly, local women quickly volunteered to welcome new arrivals and be available to mentor vulnerable members of their community. 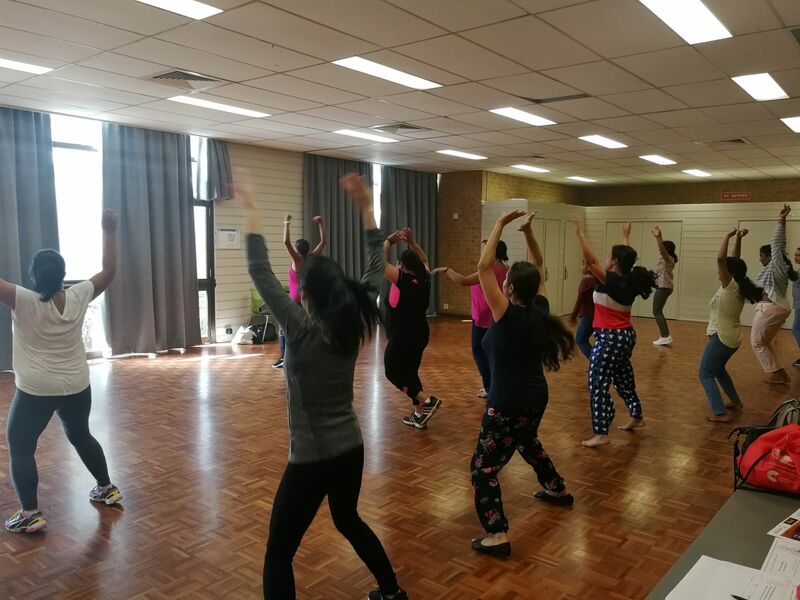 Bringing women together with no eligibility criteria, Boronia Multicultural Services Inc. offer weekly ‘drop-in’ sessions featuring Tai Chi, Yoga and childcare. Sessions increase wellbeing, women’s safety, health, and leadership training. A qualified co-ordinator is onsite and women can seek help, advocacy support, and advice on job readiness. BAULKHAM HILLS. A powerful documentary film can change the way communities respond to issues. Rosemary's Way is a film about belonging, it tells the story of Rosemary Kariuki and her remarkable work drawing migrant women out of their isolation in suburban ghettos. Exposing them to new experiences and ideas, we see the women grow in confidence and move out from the margins to fully participate in Australian life. 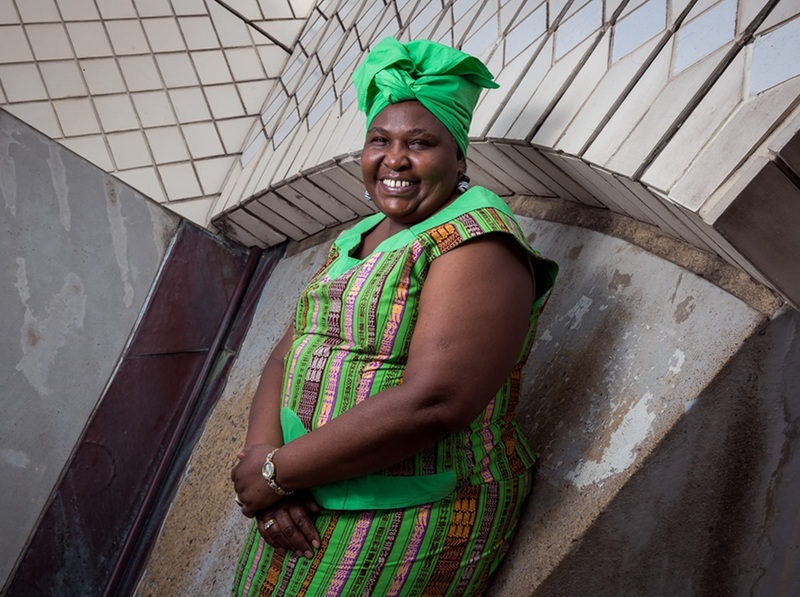 Spending time with Rosemary and three migrant women over the course of a year, we learn their deeper stories, the struggles and challenges they face trying to settle into Australia. This film supported by Documentary Australia Foundation is an important reflection on ‘how well multicultural Australia is doing in 2019’ from the perspective of migrant women. TOWARDS 50/50. Financial Scholarships and mentoring for talented girls and young women facing disadvantage. Breaking down barriers so women can successfully complete their studies and forge pathways to employment and financial independence. GREATER SYDNEY. 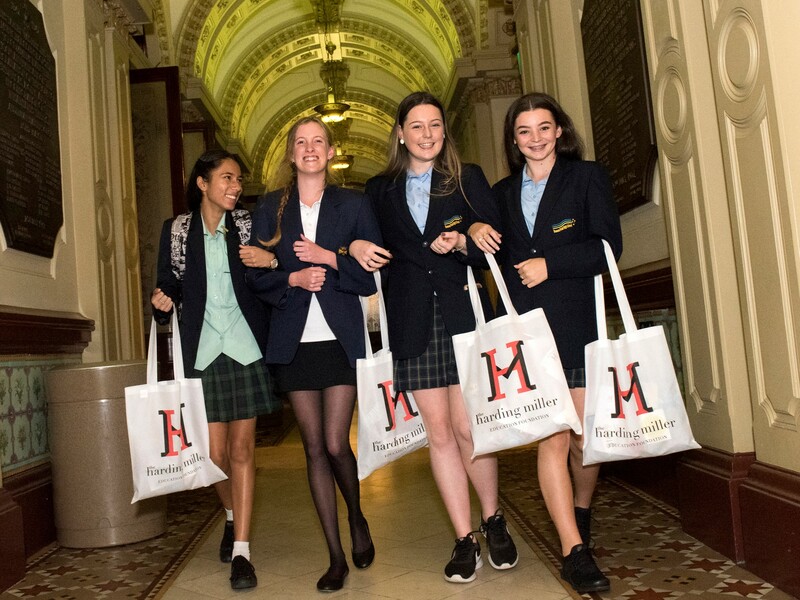 Sydney Women's Fund Future Changemaker Scholarships will be awarded in partnership with Harding Miller Education Foundation. Gifted girls facing disadvantage will be assisted to reach their academic potential with practical financial support and a mentor. The mentoring will focus on building financial responsibilty and academic success in a 4 year program through Years 9-12. The girls will find belonging as members of an alumni of the future changemakers program. 35% of girls are refugees and new to Australia, and 16% live in out of home care, many are from impoverished homes, Indigenous families, or live with domestic violence and family breakdown. They are given a computer, high speed internet, homework support, and funds to cover books, uniforms, subject fees and excursions. These girls have the chance to lift their families out of poverty and intergenerational welfare. NEWTOWN. Independent research shows getting a first Australian job significantly increases a person’s likelihood of future employability. With a lack of appropriate training, young refugee women in particular, struggle to acquire the skills and experience to help secure their future. 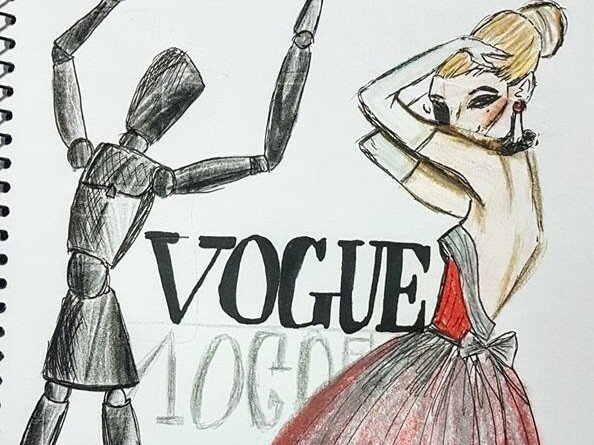 This new migrant young women's retail training project will employ 4 young Western Sydney refugee women (aged 18-28) for a fixed-period of 6-months to learn invaluable customer-service and work-skills at The Social Outfit in Newtown. Designed to build both the social and economic participation of refugee young women, this paid work-experience, retail training pilot will help transition participants into future ongoing work. WARWICK FARM. A powerful initiative for young girls, Strive has empowered over 100 at-risk girls since 2013 to make positive life choices. From families of intergenerational unemployment, the girls start to believe they don’t bring value to the outside world so "what's the point of trying". Pat Hall and staff at Liverpool Neighbourhood Connections changes their mindset. Strive invites the girls on a journey to be the change in their community. To stand up to injustice, to take pride in hard work and to empower others to do the same. Designed to guide girls safely through Year 7-10, Strive is an opportunity to learn new skills like coding and self-defence, stay engaged with education and have fun. LIVERPOOL. 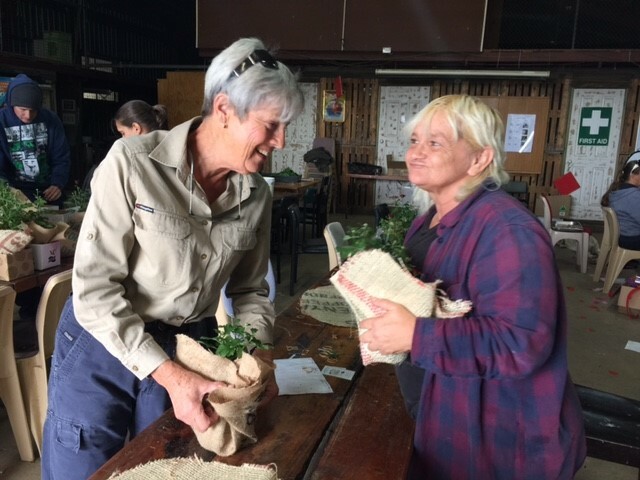 With ongoing SCF & SWF support, Liverpool Neighbourhood Connections (LNC) has grown from one to five social enterprises, creating over 112 hours of work each week for disadvantaged women in Western Sydney. Almost $100,000 was paid in wages last year to local women. For women who have taken up the challenge to change their life by completing LNC offered TAFE classes, these scholarships help them take the next step into employment. LNC’s strong employment pathways break down barriers of disadvantage whether they be cultural, language based or financial. Alleviating financial stress for their families, the women take great joy and pride in the role model they become for their children. LIVERPOOL. Now in its sixth year, the Women’s Micro Business Incubator will teach 10 financially excluded and marginalised women from the Liverpool area how to start their own business. 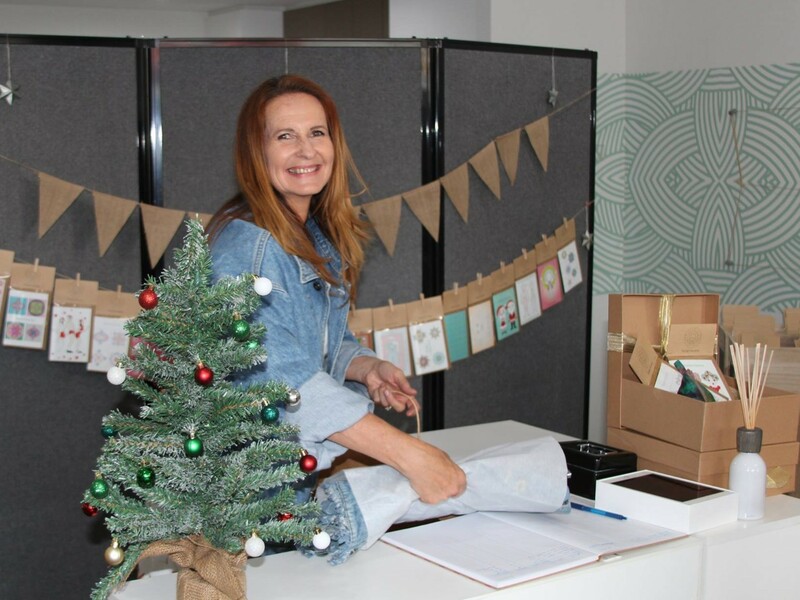 Since 2013, the Micro-Business Incubator initiated by Sydney Women's Fund and run by Liverpool Neighbourhood Connections, has supported 55 women and launched 16 small businesses with more in the pipeline. Graduates receive a $500 start-up grant and mentoring in the 10 week program and beyond. Offering a range of products and services, women can grow their business selling online and through markets. Participants can also sell their products at the LNC run social enterprise, ‘The Rising Collective’ boutique in the main street of Liverpool. BANKSTOWN. Many people in the Bankstown community; refugees, single mums, and struggling parents are unable to provide for their children and are often isolated at home. Community Support Service Inc. offers local women sewing lessons to provide social contact, valuable life skills and support on all levels to improve their day to day lives. The classes offer a way for women to generate an income and financially support themselves and their families. They learn how to sew products in class, and gain skills in promoting and creating a small business for themselves in the future. 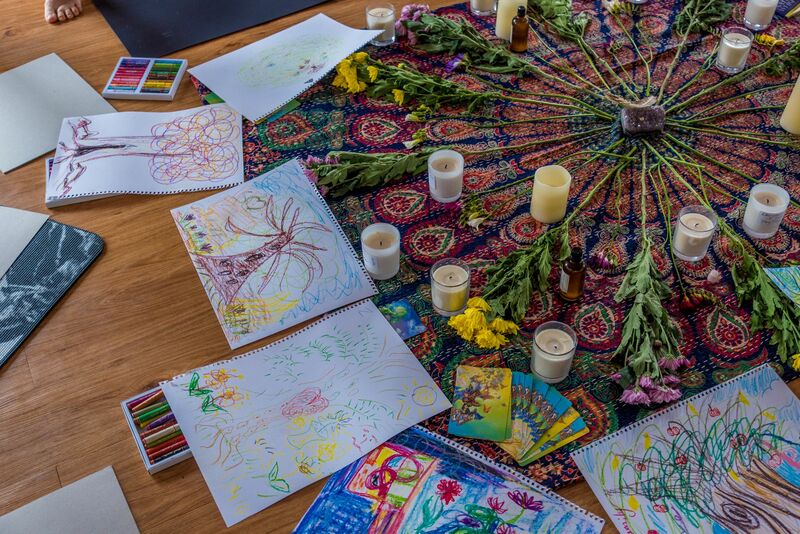 Facilitated by a passionate designer, classes progress from beginner to advanced, one-off skill specific lessons, and expressive art classes for young people. Since 2004, Sydney Community Foundation has been funding projects to build stronger communities. SCF’s successful Place-Based Programs have brought multi-year support to postcodes of greatest need in Sydney. HEADSTART. 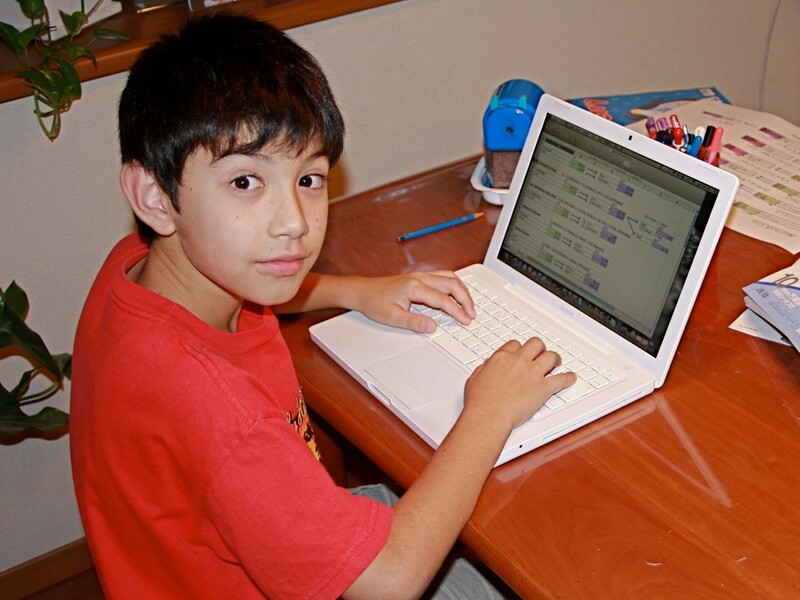 Provides kids who are disengaged from their learning, alternative ways to stay in school. Smart strategies for those who’ve given up on school, opportunities to keep learning, stay out of trouble, and get a job. CLAYMORE. 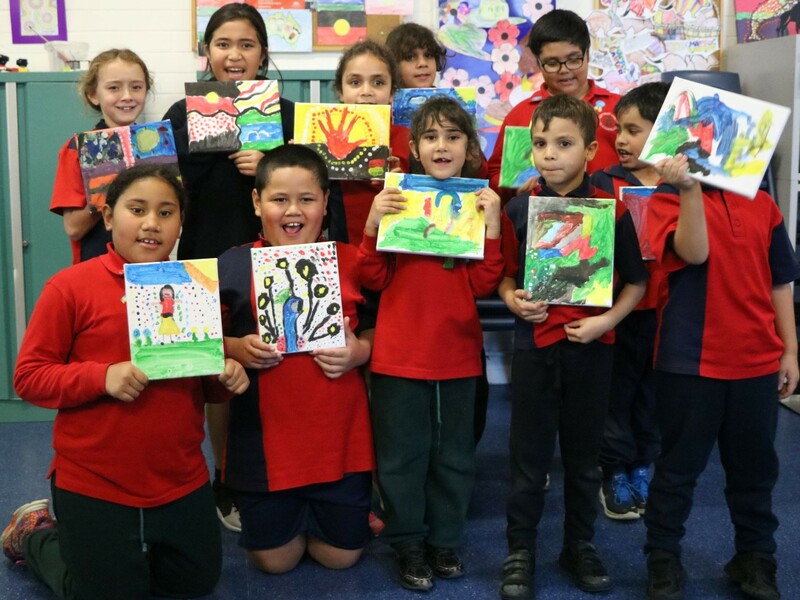 Co-designed with the Claymore community by Sydney Community Foundation and Whitelion, RISE - Re-engagement Initiative towards Supportive Education was a pilot program in 2015. RISE is a proven, powerful initiative. This year we are trialling a new 'RISE for Work' pilot in Sydney’s Cabramatta for local young people to increase their job readiness. The nurturing alternative learning program supports secondary students suspended, expelled or chronically disengaged from school. With expert wrap-around support 80% of learners return to learning, vocational/training opportunities, and create pathways into employment. Coming from families of intergenerational welfare dependency, these young people face overwhelming disadvantage, including drug and alcohol issues, mental health challenges, histories of homelessness, out-of-home care, and contact with the juvenile justice system. ST GEORGE / SUTHERLAND SHIRE Do you worry where you’re going to sleep tonight? Imagine being afraid to go home, anxious of the violence that awaits. For young people plagued with this fear and uncertainty, it’s a struggle to focus on work or learning. TrYangle is recognising the potential of young people with complex needs. 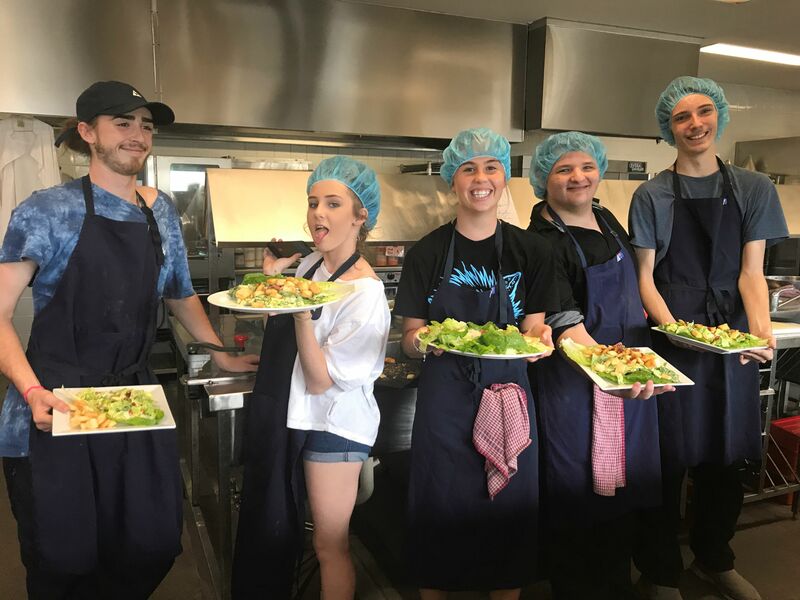 Through its successful Cafe Y social enterprise, TrYangle delivered by Project Youth will support 50 young people from St George and Sutherland Shire to access training, qualifications and pathways to employment. "We don’t employ young people to make coffee, we make coffee to employ young people". Harnessing business for social value, TrYangle is creating purpose for a generation of young people. CLAYMORE. Continuing in its fourth year, RISE - Re-engagement Initiative towards Supportive Education is changing lives for young people in the Claymore community and strengthening families. Alternative learning and wrap-around support with family outreach is given to secondary students suspended, expelled or chronically disengaged from school. Coming from families of intergenerational welfare dependency, these young people face overwhelming disadvantage, including drug and alcohol issues, mental health challenges, histories of homelessness, out-of-home care, and contact with the juvenile justice system. 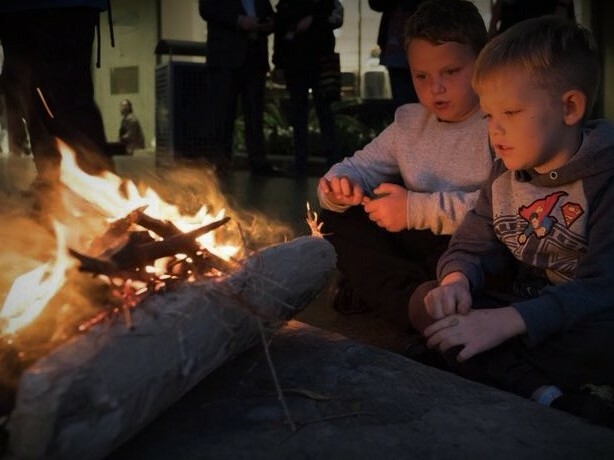 Emerging as a community-initiated pilot program in 2015 to re-engage youth with education, RISE co-designed by SCF and Whitelion has become a model of success and was profiled on ABC's Lateline in 2018. With 80% of learners returning to education, vocational/training, or gaining employment, RISE ensures a better future for Sydney’s young people. CLAYMORE. The Claymore community, witnessing the success of RISE in their high schools, called for Sydney Community Foundation to assist with primary school aged children roaming out of school and missing out on formative early learning. Junior RISE co-designed by Save the Children and Sydney Community Foundation helps primary school children navigate, re-engage and thrive in education despite high risk factors and setbacks in their learning. The number of suspensions in primary school children has increased over the past five years. In 2016, NSW saw 7,540 K-6 children suspended. Though widely used, evidence shows suspension is not improving behaviour. Children experiencing socio-economic disadvantage and cultural isolation have increased likelihood of suspension. For male primary school students it’s up to 8 times higher than girls. 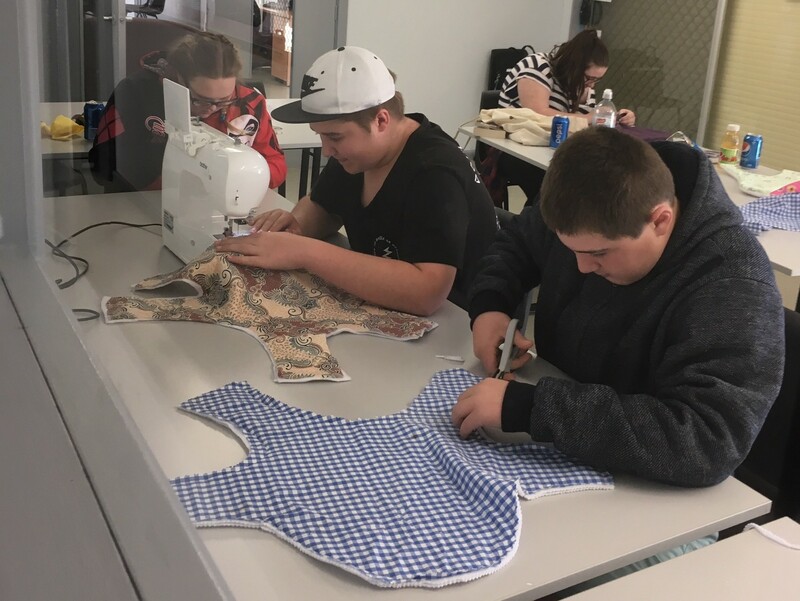 Attracting up to 100 young people aged 14-24 each week, Headstartt in Fairfield offers homework club, Job club, TAFE sessions, exercise, art projects, and mental health support. Initiated in partnership with Parents' Cafe Fairfield Inc., and now in it's third year, STARTTS NSW has partnered with Sydney Community Foundation to deliver this program. With a positive support network and access to affordable, local activities - Headstartt reduces social isolation, improves language skills, assists with resumes and mentoring. Young people in the program are offered positive alternatives, and encouragement away from organised crime. In 2015, the Federal Government announced a one-off boost to the Refugee and Humanitarian program to assist 12,000 people displaced by conflicts in Iraq and Syria. By April 2017, 6,466 refugees and humanitarian entrants settled in Fairfield LGA with 41.6% under 24 years old. Opportunities children receive in their early years have a profound effect on their pathways, health and outcomes as adults. The Sydney Community Foundation Maybanke Anderson Scholarship supports Aboriginal or Torres Strait Islander students at Macquarie University studying a full-time education degree. In the spirit of Maybanke Anderson it was established to provide financial support for aspiring early childhood educators to help them finish their studies, qualify and return to work in their communities. The scholarship is unique as it not only empowers and supports individual students studying at the university, it also helps to inspire the next generation of students and create the conditions for optimal early childhood development and high-quality education. Yurungai Learning Centre supports families living in the Waterloo Public Housing Estate in Sydney. Yurungai delivers after-school services to 30-40 mostly Aboriginal primary school children. With Barnardos' care and kindness children are given nutritious daily meals, one-on-one tutoring, homework club, educational support and transport. Children also enjoy cultural learning, creative activities, sporting activities, dance, music and education in social skills and empowerment. Yurungai works closely with parents, especially mothers, to ensure they themselves are safe, well-equipped and engaged with their children, culture and community. WARWICK FARM. As they make the journey to manhood, Thrive will empower 20 boys over 12 months to make positive life choices, including respect for themselves and the women in their lives. From Year 6 through high school, Thrive is skilling young men from disadvantaged families in self awareness, anger management and self belief. Thrive offered at Liverpool Neighbourhood Connections has become invaluable, keeping kids connected and strengthening their sense of belonging in the community.Engaging boys in constructive after school activities, the community has seen a marked decrease in vandalism and crime. Running for four years now, Thrive has mentored over 100 boys from the Liverpool area to wards a better future. BANKSTOWN. Bringing the Bankstown community together to share their knowledge and empower school students, YESS provides multidisciplinary educational support in the K-12 ‘key learning areas’ with a focus on literacy. Led by a passionate local community changemaker and qualified tutor, Community Support Services Inc. has designed and runs the program. Volunteers from universities, doing work placements, will donate up to 500 hours of one to-one and small group tutoring. The program is well supported by passionate home schooling mothers and stay-at-home teachers. As well as strong educational outcomes, having different age groups as volunteers fosters mentorship and a strong a sense of belonging for tutors and students. TOGETHER SYDNEY. Help us belong. We are all Sydneysiders, a mixed bag of ages, nationalities and histories. Inclusive programs can keep us connected, reduce loneliness and create a thriving sense of community and well-being. SOUTH WESTERN SYDNEY. Overcoming the loneliness and isolation experienced by many older people in refugee communities is important to the fabric society. 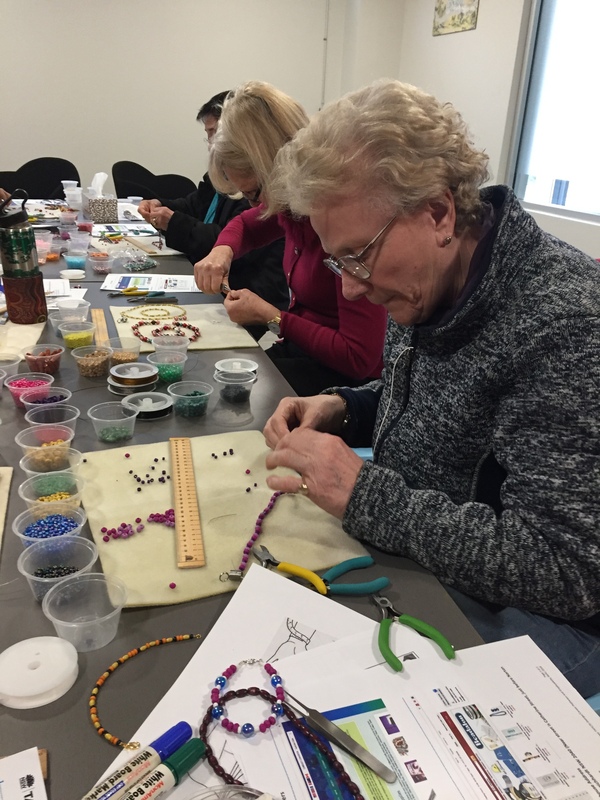 With practical advice and access to a safe space, STARTTS has tailored this program to reach over 400 older people from refugee communities including Bosnian, Serbian, Armenian, Assyrian, Syrian, South Sudanese, Cambodian, Afghan and Tamil. Meeting weekly, each group will be facilitated by a bi-cultural coordinator, trained and supervised by skilled counsellors. 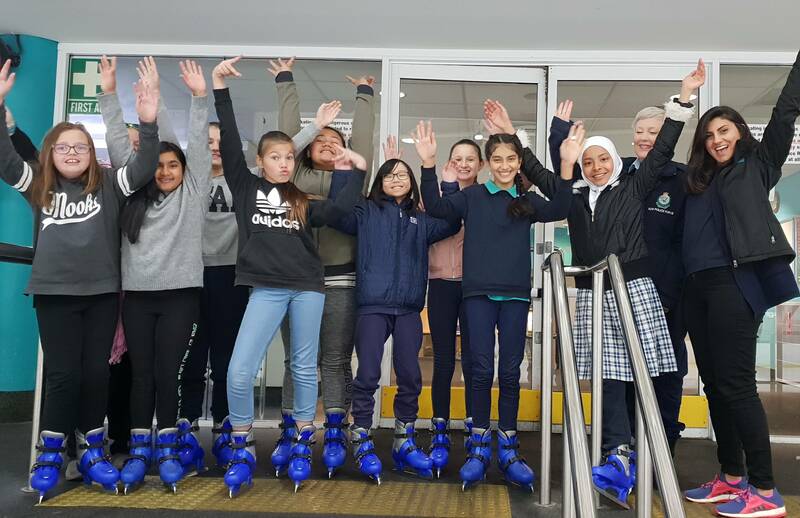 The program delivers respite from the pressures of family life and intergenerational conflict, enables friendships, well-being and healthy ageing. GREATER SYDNEY. 1 in 5 Australian children go to school without food from home to fuel their growing bodies and minds. 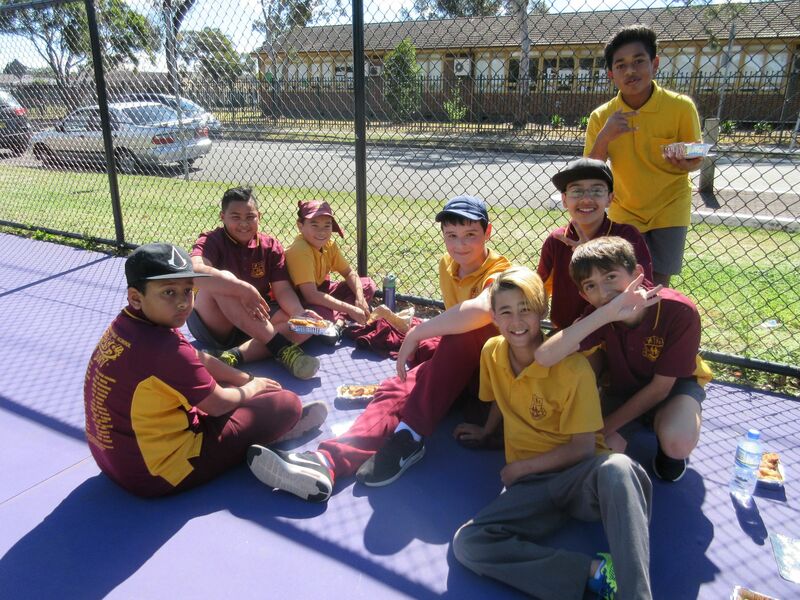 Eat Up Australia is filling the lunchtime gap with more than 7,000 lunches every school week. $11,000 feeds hungry kids at 12 schools across Sydney for the full 2019 school year and builds a tribe of kind volunteers of all ages. 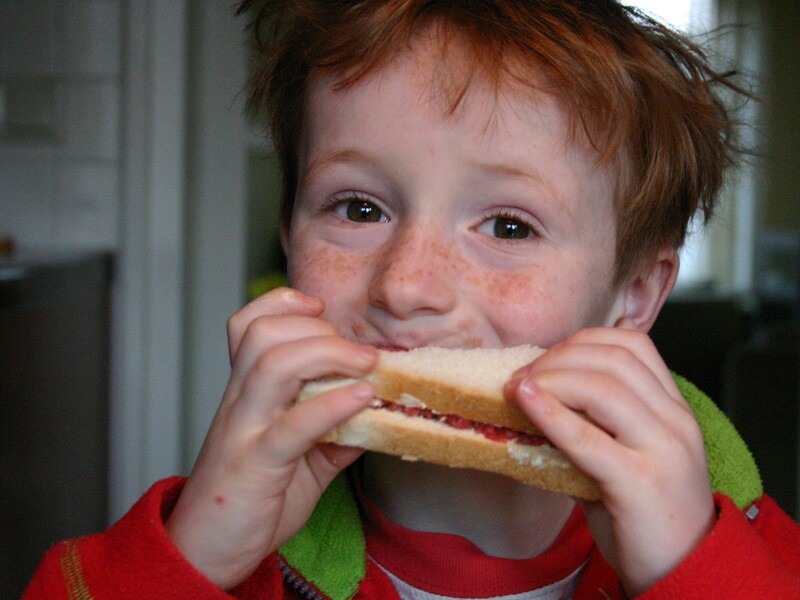 While Foodbank Australia runs a breakfast program, come lunchtime, children are going hungry. Missing meals leads to fatigue, poor concentration, and higher rates of school absence. 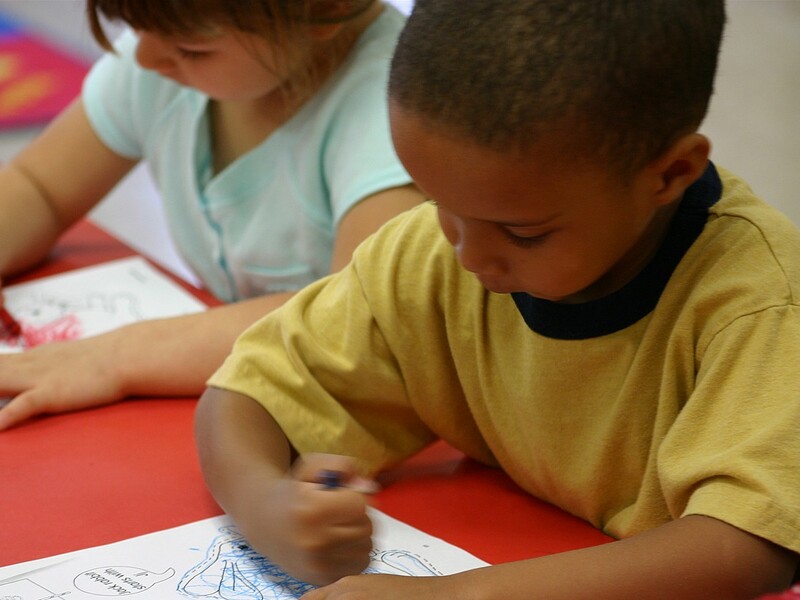 Hungry kids fall behind their peers, further contributing to the cycle of disadvantage. Eat up is a sustainable, collaborative model, where communities, schools and corporate groups are engaged to prepare sandwiches. LIDCOMBE / SILVERWATER. Ride By Your Side is a unique transport and mentoring program run by Shine for Kids so that children can visit their incarcerated mothers. It’s a chance to engage at-risk children in a safe, relaxed environment as they travel to and from the prison where their mother is held. Mentors are rigorously screened, undergo comprehensive training and commit to a minimum 12-month participation to give children stability and an ongoing presence. 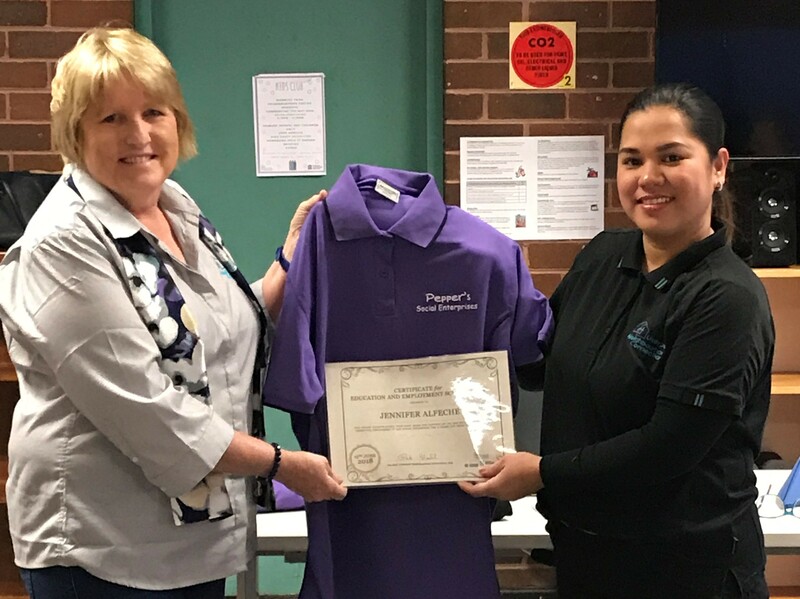 Currently operating in Mary Wade Remand Centre in Lidcombe, funding will help extend the project into Silverwater Women's Correctional Facility. Maintaining these precious relationships creates a better for future mother and child. CAMPBELLTOWN. 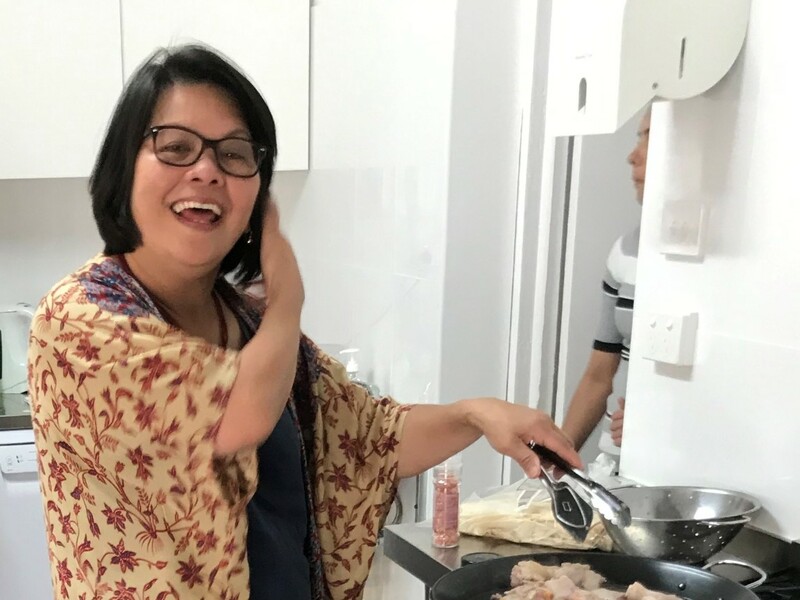 Embracing diversity and inclusion, Kulcha Kitchen reaches out to women new to Campbelltown who are at-risk of isolation or social exclusion. Bringing women together for food and cooking from all cultures and capabilities. 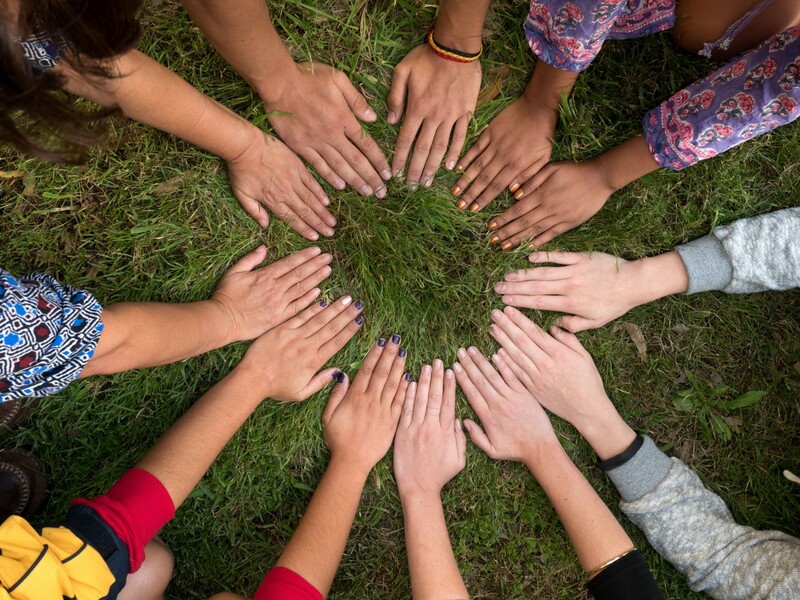 Kulcha Kitchen will build camaraderie and belonging as women share their challenges and are guided to further support by caring staff of Macarthur Diversity Services Initiative. 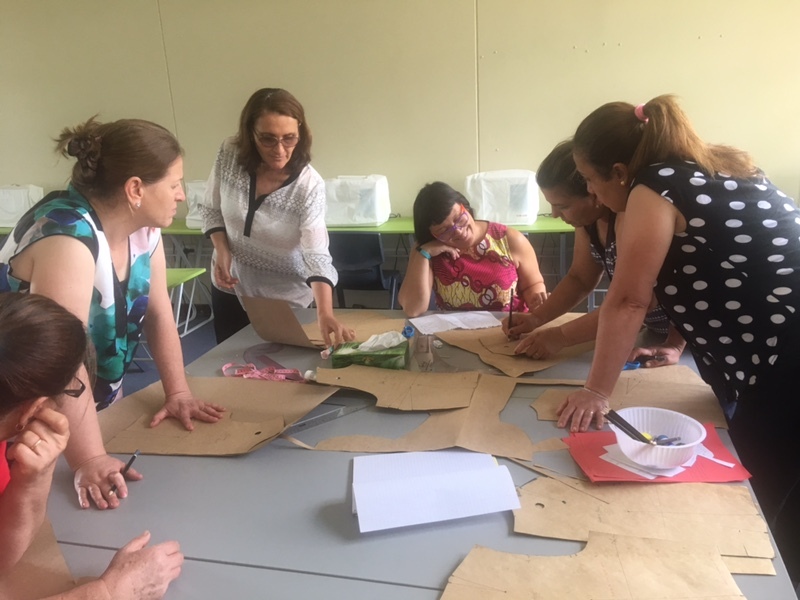 Working together as a group, the women will create connections as they learn food safety, kitchen skills, budgeting, customer service and barista skills. Women will be empowered with a pathway that reflects their aspirations and needs. Guided to further education, volunteer, or employment opportunities as they plan for their future life. GREATER SYDNEY. An important new belonging project for Sydney Community Foundation alleviating the pain and isolation felt by losing a parent, sibling or legal guardian. 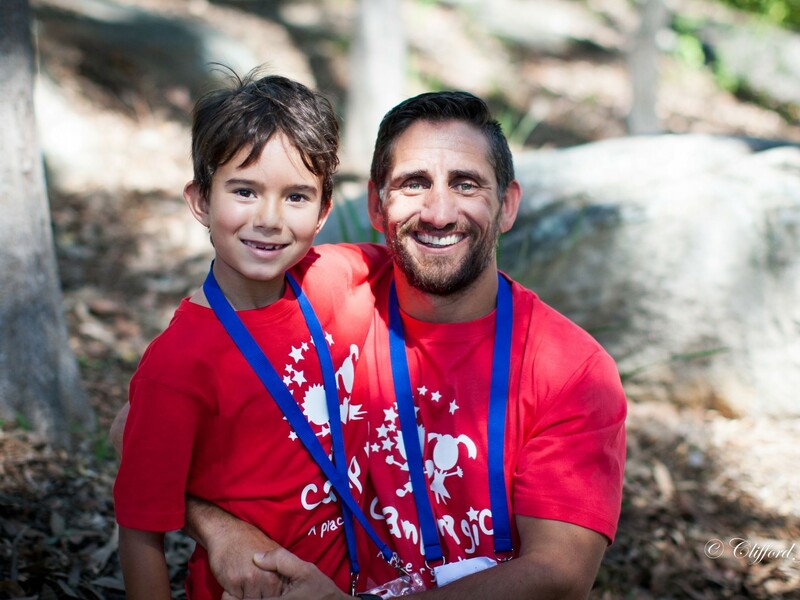 Camp Magic® equips 60 children to navigate their grief in a healthy way for lifelong success. 1 in 20 Australian children aged 7-17 will experience the death of a parent before they reach the age of 18. Avoiding dealing with the emotion of their traumatic experience results in mental health issues, addiction, self harm, anger management, even suicide. Camp Magic® is Australia’s largest and leading grief education and support program for bereaved children and teenagers. Campers attend a free transformational weekend, combining fun, physical challenges with grief education and emotional support. WELL-PLACED. Tackling disadvantage with smart design. Supporting innovative places, experiences, economies and business models to create vibrant communities. Holistic approaches that provide gathering places to increase connectedness and build safety and independence. Let’s leave no Sydneysider behind. GREATER SYDNEY. Nelly’s Healing Centre is an innovation in care, rebuilding the lives of Indigenous women who have lost their children due to removal. Nelly’s will open in Camperdown during NAIDOC week 2019 (7-14 July), starting with a pilot service delivery model to meet the healing needs of Aboriginal women and their families. It offers a holistic, intensive support service embedded in culture. 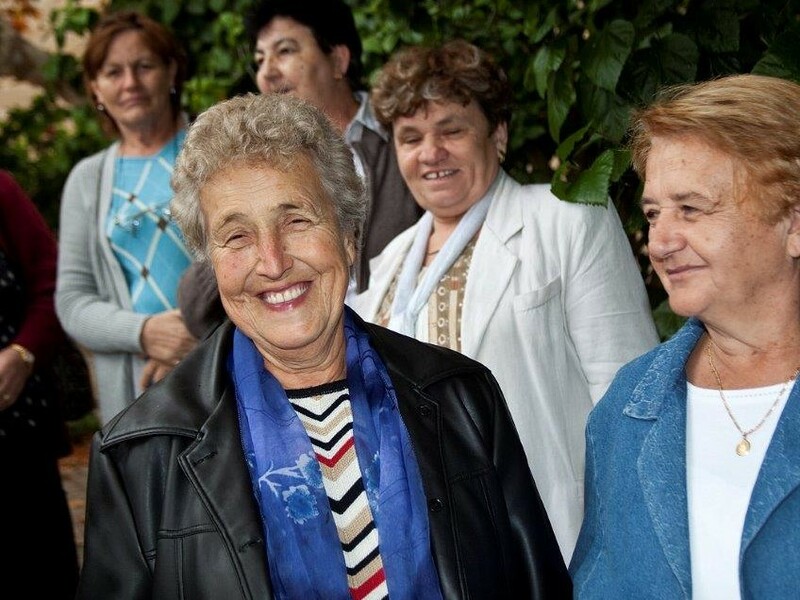 It is a place where women find the strength to overcome intergenerational struggles and start healing, so their children and grandchildren can live free from trauma and disadvantage. Long-term, the aim is to build a larger centre sharing and scaling an innovative service model nationally. This is an important new support program for Indigenous women and children impacted by the justice system. FRENCHS FOREST / BOTANY. Building place, spaces, experiences, economies and business models is the key to tackling challenges people with disability and their families face everyday. 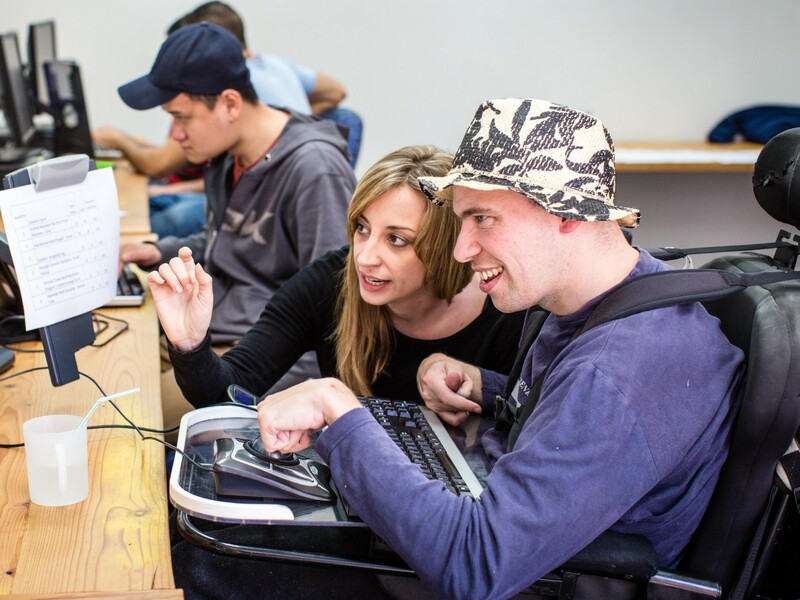 ‘Avenue’ is a Co-Working Space supporting over 400 people of all abilities to work, socialise and develop skills, regardless of their needs. At Frenchs Forest, Botany, and Parramatta these social enterprises are empowering people with disability to belong. Two ‘Avenue’ Co-Working Spaces need urgent refurbishments. New kitchens with height adjustable benchtops (wheelchairs and multiple heights), minor building works (widening doorways), furniture and equipment upgrades (adjustable desks, assistive tech). Help make life better for people who work with disability by supporting the work of Fighting Chance Australia. SUTHERLAND SHIRE. 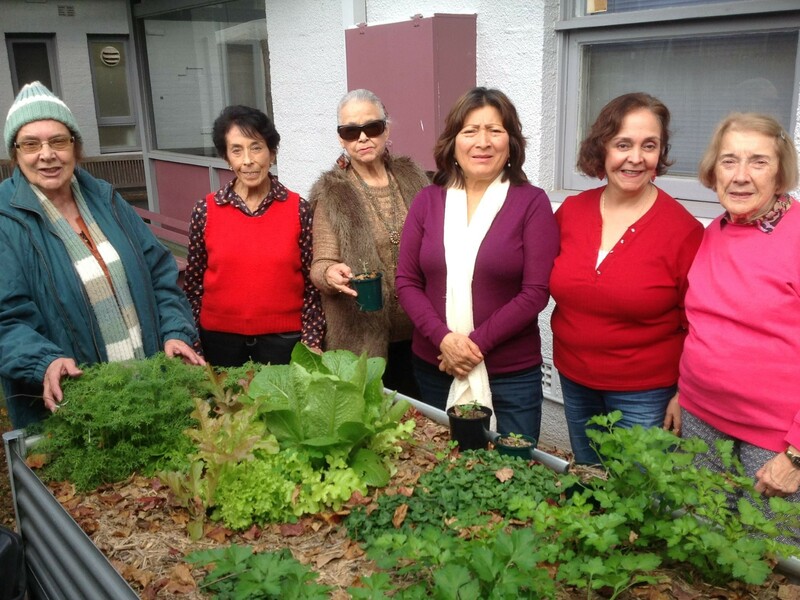 Welcoming and supporting newly arrived migrants for 45 years, Gymea Community Aid recently began a gardening club. Meeting weekly, the club has raised beds with such success they’ve been given a 5-year lease on a local plot to create a community garden. With access to a community hall and kitchen, the garden will support a range inclusive activities. It will become a cultural exchange of food and cooking traditions, reflecting the diversity of its members. 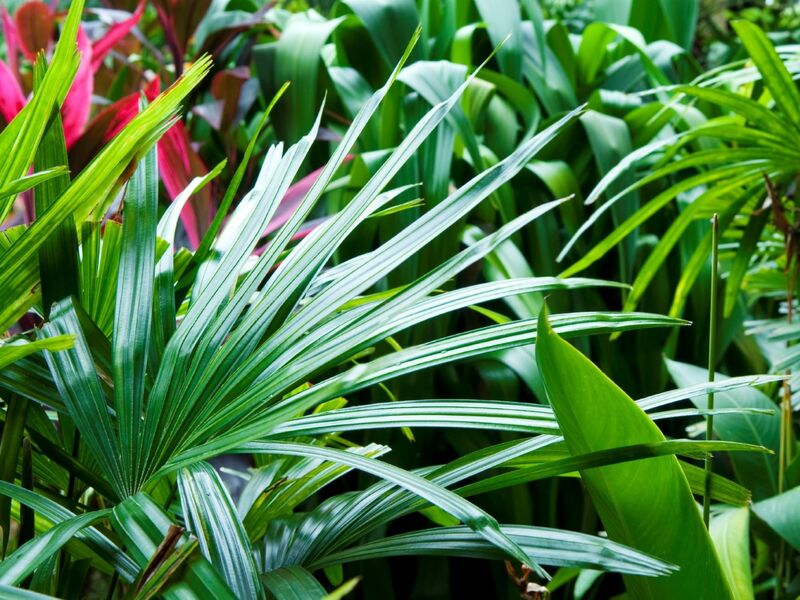 Improving mental and physical wellbeing and environmental awareness, the garden will nurture friendships and networks. 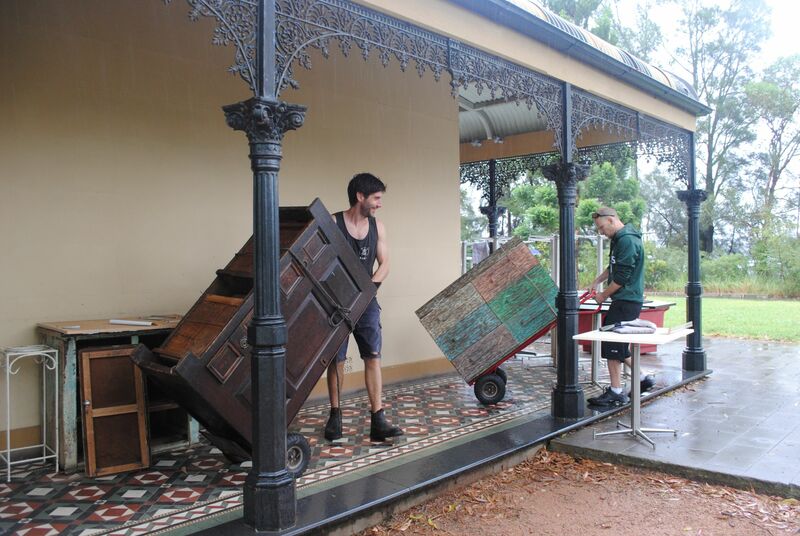 Help create a vibrant community space. CAMPERDOWN. Welcome to the Healing Garden at Nelly’s, an enriching sanctuary, engaging the healing strength of nature, community and culture. Nelly's Healing Centre in Camperdown is an important new support program for Indigenous women and children impacted by the justice system. The Garden is a place to gather for support, or a quiet, safe space to recharge after a challenging day of therapy. Scaffolding the healing journey, this garden will foster a sense of wellbeing, safety and connection. 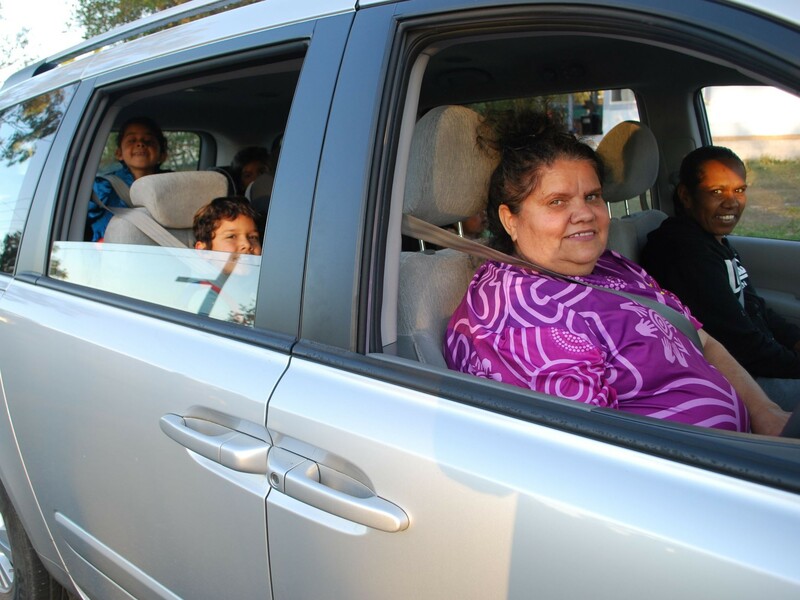 Offering intensive, holistic support, Nelly’s will empower Aboriginal women and their families to overcome intergenerational struggles so their children and grandchildren can live free from trauma and disadvantage. Women will draw strength from the Garden as they participate in innovative programs embedded in culture. SYDNEY CBD. 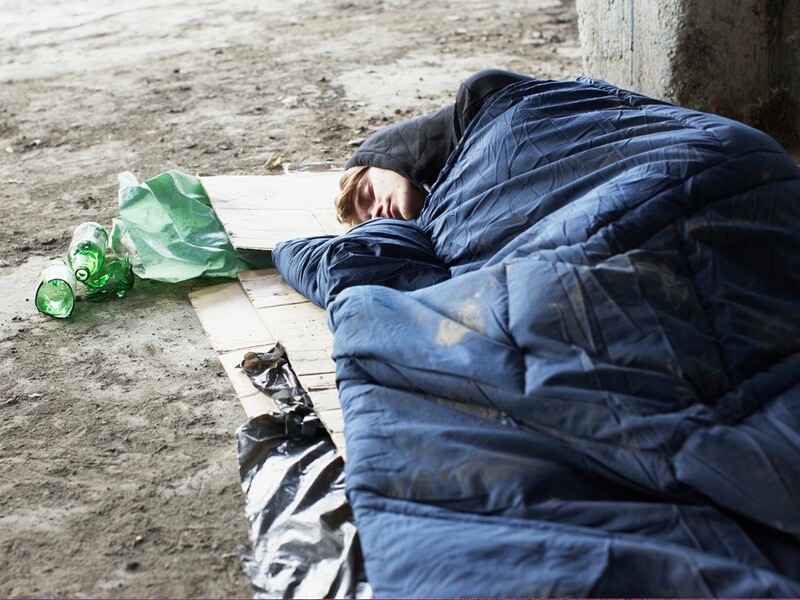 Every night, young homeless people without a safe place to sleep, gravitate to the high traffic areas of the Sydney CBD. Often moved on by Police from public spaces, they seek refuge in poorly lit, secluded areas. With proximity to late night venues and alcohol and drug affected adults, the risks for vulnerable young people is frightening. Together, we can help reach out and improve the lives of many young people. Help us support a specialist Whitelion Senior Outreach Worker assist vulnerable young people with the casual or ongoing intensive support they need. Let’s turn more young lives around. LIVERPOOL. Opening in December 2017, ‘The Rising Collective’ boutique offers graduates of the Women’s Micro-Business Incubator access to a mainstreet retail space. This project needs a small budget to upgrade fittings in the store to better display products and help the women grow their businesses. 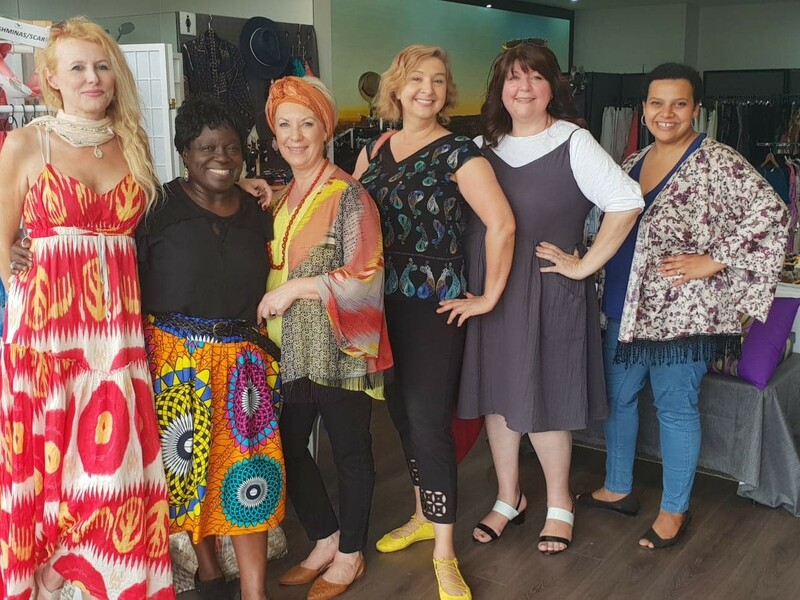 As part of the Advanced Micro-Business Incubator program delivered by Liverpool Neighbourhood Connections, women who stock items in the store are given training onsite in money handling, customer service, promotion and product design. They are also matched with a mentor in their industry. The boutique has been an integral part of sustaining the viability of the micro-businesses created through the incubator program. BANKSTOWN. Many families in the Bankstown community struggle to make ends meet and put food on the table. 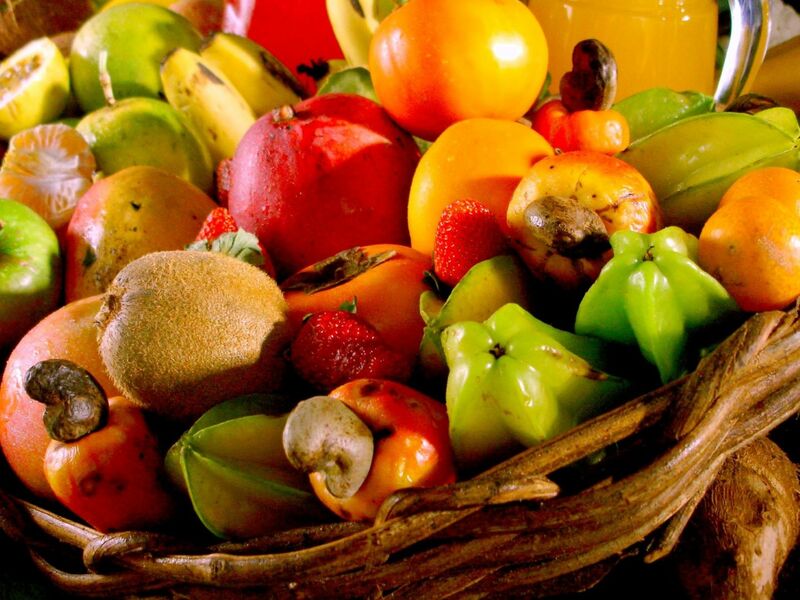 This project will alleviate the pressure of hunger. It will enable parents and caregivers to know their children's health and wellbeing is taken care of, whilst they focus on finding a job to get themselves back on their feet. Community Support Services Inc. will co-ordinate the service. Fresh produce from Foodbank will be bought and stored in the ‘pantry’. Refugees, struggling families, and others in the community will come and choose what they need to feed themselves. Those who are financially stable will purchase, and anyone unable to pay will receive the food for free or donate any amount they can to benefit the The Village Pantry. WARWICK FARM. Making it easier for families to eat an affordable, healthy dinner. 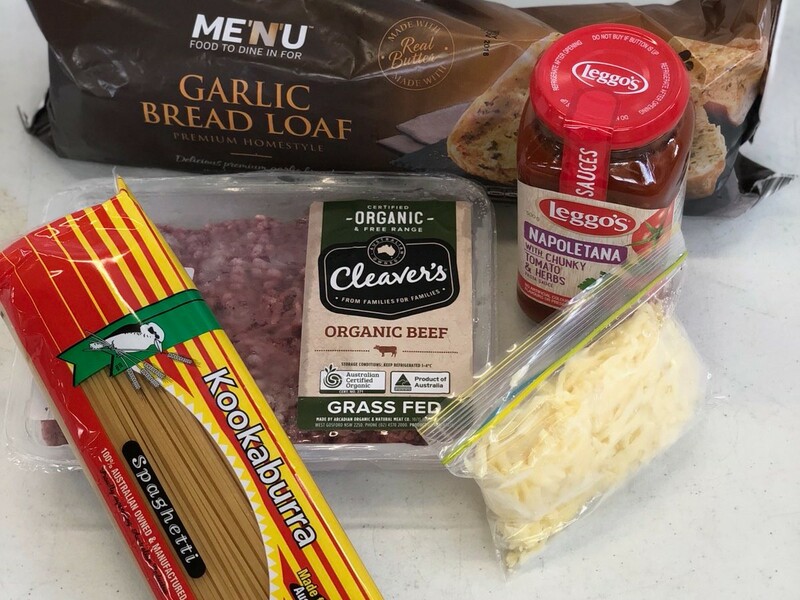 Launched in 2017, Dinner for 4 prepares and packages healthy meals for 120 families in Heckenberg, Western Sydney. Each meal costs $7.00 to make and is either sold at an affordable price or given free to those in most need. Making 30-40 meals per week. Dinner for 4 also creates new employment opportunities for disadvantaged women in Liverpool. Trained in safe food handling to pack the parcels for delivery, women gain skills, work experience and are paid 2 hours per week, 40 weeks of the year. Demand is growing for this food security project delivered by Liverpool Neighbourhood Connections. Please Be Kind Sydney and donate now.